More Retail Coupon Codes! Drugstore, Vision Direct, Murad and more! 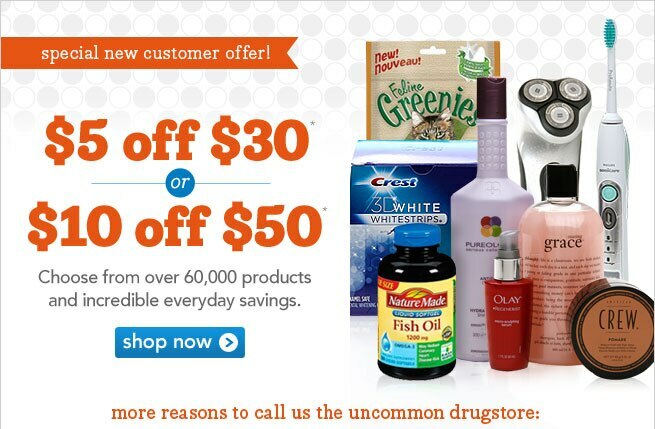 Save $5 off $30 or $10 off $50 on your First Non-Prescription Order and get Free Shipping only at Drugstore.com! New Customers Get 25% Off & Free Shipping on orders over $99 with code NEW25VISION only at Vision Direct! Save $10 when you spend $40 or more with code RetailMeNotM1 at Murad.com! Buy 1 Get 1 Free or Buy 2 Get 3 Free Sale at Puritan’s Pride! Save 50% on E.l.f. Mineral Makeup! Spend $25 or more at Vitacost.com and get Free Shipping! Hurry – limited time offer!